Ever since video games first came out, questions about whether or not they are potentially harmful have surfaced. In the latest round of questions regarding the effects violent video games have on teens, the Subcommittee on Commerce, Trade, and Consumer Protection in the United States House of Representatives held a hearing on how better to help inform parents of the violent nature of some video games. Included in the testimonies were accounts of how violent video games can lead to teens actually committing acts of violence in real life. The issue of violent media, especially video games, is rife with controversy. Some studies show that there is no link between aggressive or violent behavior in teenagers and violent video games, and some studies show a link. However, the American Psychological Association recognizes that the evidence in favor of a link between violent video games and violent teen behavior outweighs the evidence against it (1). Studies recognize the difference between watching violent TV and movies and playing violent video games (1). Because watching TV or movies is more passive, teens are not actively taking part in scenes of violence. When it comes to video games, however, the story changes. Many video games encourage violent acts, and the teen is usually rewarded for them with extra points and abilities. Taking part in violent acts, even if only pretend, can increase the chances of teens acting out violently in real life. Additionally, these violent acts are repeated over the course of a game, and then repeated again the next time the game is played. It is entirely possible for a teen to immerse him or her self in a world of violence for hours on end, acting as the primary instigator of the violence. This can lead to aggressive and violent behavior in real life, carrying out fantasy behavior experience through the video game. Violent media, including video games, can increase thoughts of violence in teenagers. Suspicions of others’ motives increases due to violent video game play. Teens who spend more time playing violent video games are more likely to argue with others than teens who do not spend as much time playing violent video games. 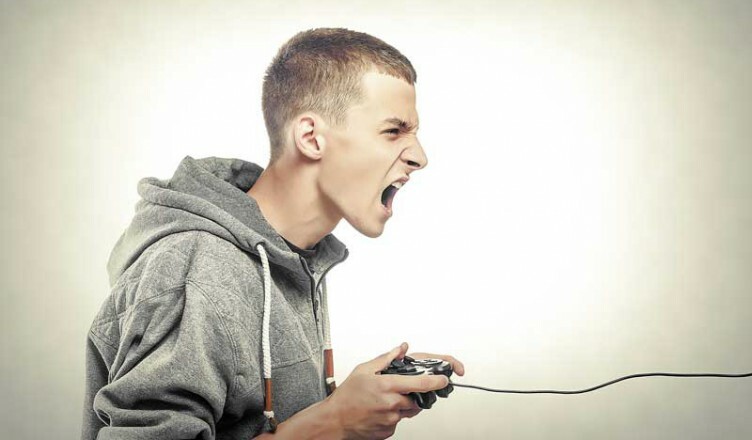 Teens who play violent video games act aggressively soon after playing (while the effects may wear off, right after a game, a teen is more likely to be hostile). Preview the games and make sure they are age-appropriate. You could even play them yourself. Watch how your teen behaves after playing violent video games. Is he or she more aggressive? More inclined to argue with you? This could be a sign that too much time is spent playing the video games. Provide other family activities for your teen. Encourage your teen to participate in extracurricular activities in order to replace time spent with violent video games. Create rules for the amount of time teens can spend with various media each week. This allows you to reduce all media time, rather than just targeting video games.